Longest Canal in world with no locks. Percentage of accidents is almost nil Compared with other waterways. Navigation goes day and night. Liable to be widened and deepened when required to cope with the expansion in ship size. The VTMS (Vessel Traffic Management System) has been introduced. It is a very accurate electronic system envisaging a most up to date radar network. 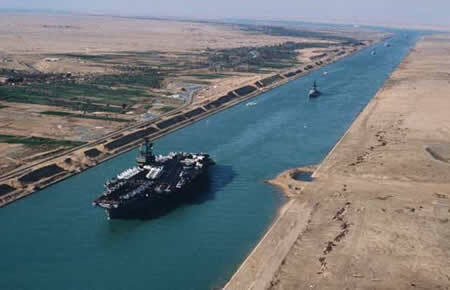 The Suez Canal can now accommodate all mammoth tanker in service on their ballast trips. This importance is getting augmented with the evolution of maritime transport and world trade. The maritime transport is the cheapest means of transport, whereas more 80% of the world trade volume is transported by means of sea routes. 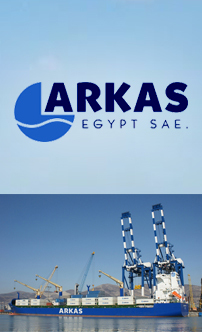 Saving in time and in operation costs for vessels that transit the Canal, also consolidate this importance. Canal foSity I: 1310 B.C. Canal of Nkhaw: 610 B.C. Canal of Darius I: 510 B.C. Canal of Ptolemy II: 285 B.C. Canal of the Romans: 117 B.C. Canal of Amir El Moemeneen: 640 A.D. Following the Islamic conquest and remained open for 150 years. 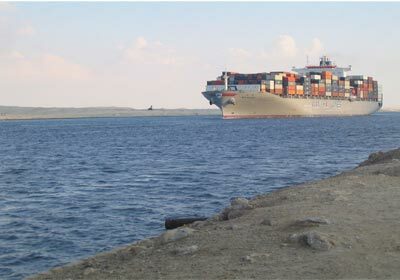 The Suez Canal is actually the first Canal directly linking the Mediterranean Sea to the Red Sea. It was opened for international navigation on 17 November 1869. Egypt nationalized its Canal on 26 July 1956. The Canal was closed five times, the last time was most serious since it lasted for 8 years. The Canal was then reopened for navigation on 5 Jun 1975.